And yes, it is a fine, regardless of the weasel words they use. Why am I writing this here? Well short story shorter, I went there on the way to the social club to play pool (I love pool and snooker, playing and watching) to grab a Late, on October 20th. 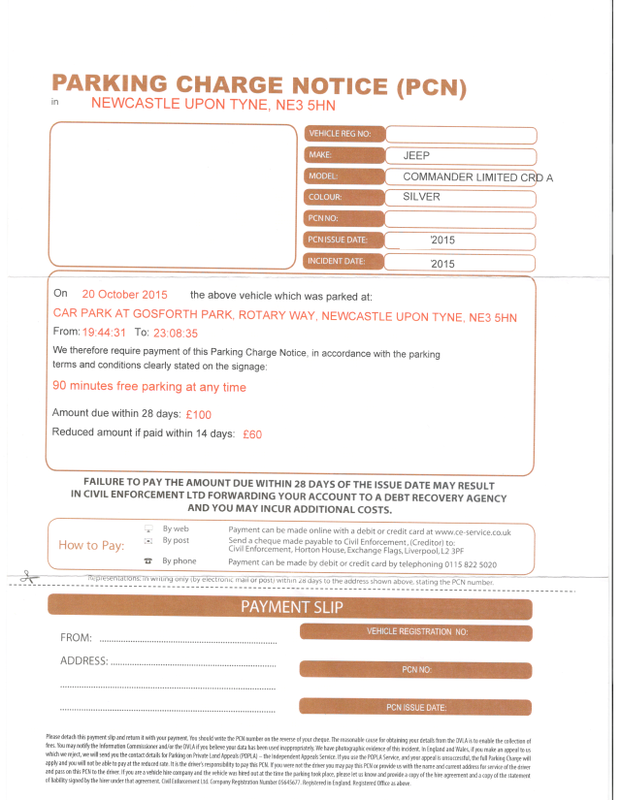 Around 2 weeks or so later, the fuckwits at Civil Enforcement Ltd (aka Creative Car Parks Ltd), sent me a PCN (Parking Charge Notice) for £60 if paid within 14 days, or £100 if paid within 28 days. Needless to say, I did two things. First and foremost, asked for evidentiary photographs from Civil Enforcement Ltd (yep, still no response), and second, put a complaint in to McDonalds themselves (I visit fairly frequently). I know for a fact I was not there for the 3 odd hours they claim (I was at the social club, with witnesses). The first reply I got from McDonalds simply asked for details, but gave me hope. The letter I received from McDonalds made me instantly decide I am never going to visit another of their restaurants again (will mean one hell of a headache from my son (he loves McDonalds), but after this, I do not care). It simply advised I contact the company that issued the fine (sorry, "Charge" (IT IS A FINE DAMMIT!)). 4. I visited one of 3 of their restaurants 3-4 times+ per week, and this is how they treat their customers? You are allowed 90 minutes free parking (yep, I'd happily pay if it were required instead), and visit (drive-through or otherwise), then popping back later, whether your kids decide they needs the toilet, you've forgotten something, they've screwed up (none of which was the case here) etc etc etc - you're risking a fine. 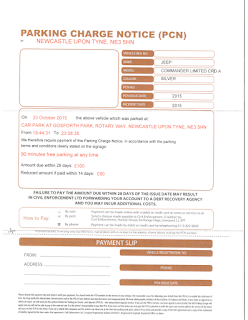 Further, the wankhole of a company that issued the fine you'll note, specified a road and postcode YOU CAN NEVER PARK ON, leading to the assumption it is the hotel to blame, when it clearly isn't (I went to the hotel, they made it clear it was McDonalds to blame (not the first time it has happened apparently)). Needless to say, I am boycotting McDonalds, and shall be fighting this. What was the eventual outcome, Steven? The company that issued the PCN finally cancelled it, presumably because my requests for evidence could not be fulfilled. I'm still boycotting McDonalds as a result of this.